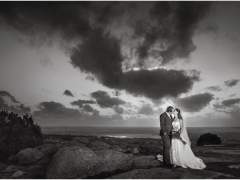 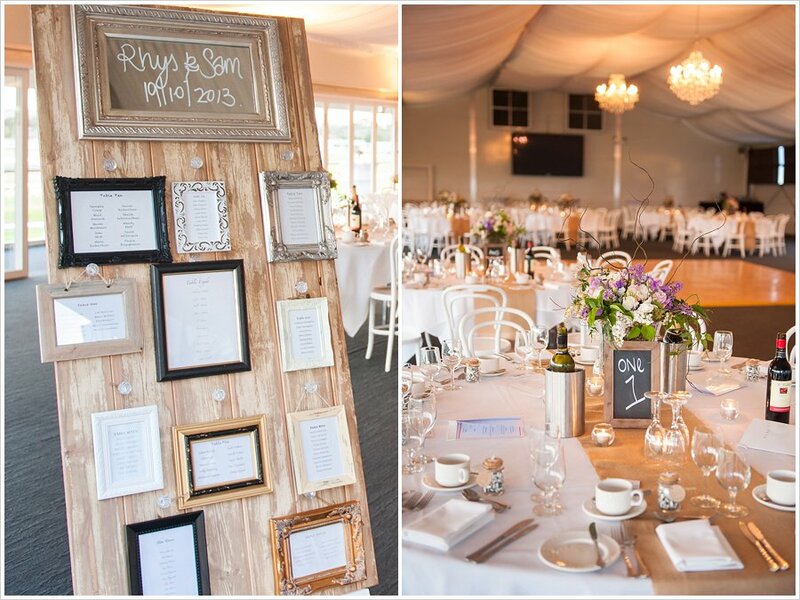 After the Veale Gardens wedding of Sam and Rhys and some beach wedding photos at Grange Beach, we trotted off to Morphetville Race Club (get it!? 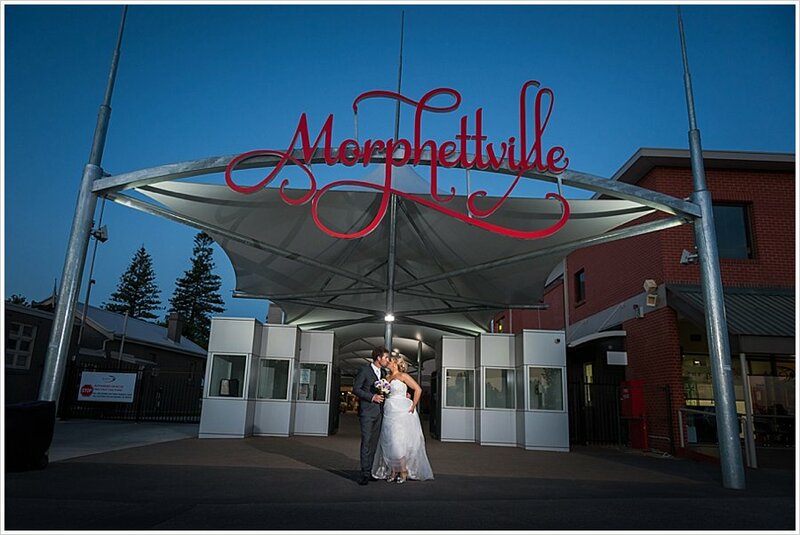 hehehe ), and what a gorgeous wedding venue it was. 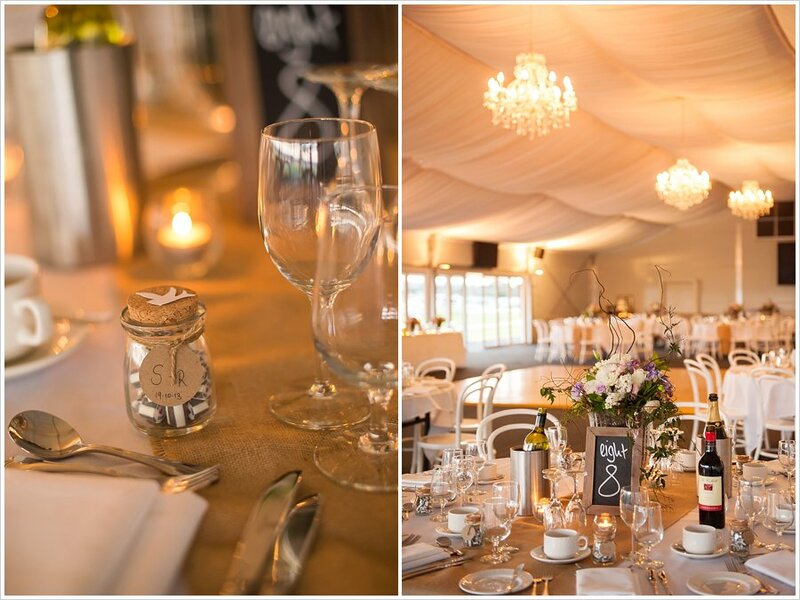 Chandeliers hung from the ceiling and fresh flowers decorated the tables. 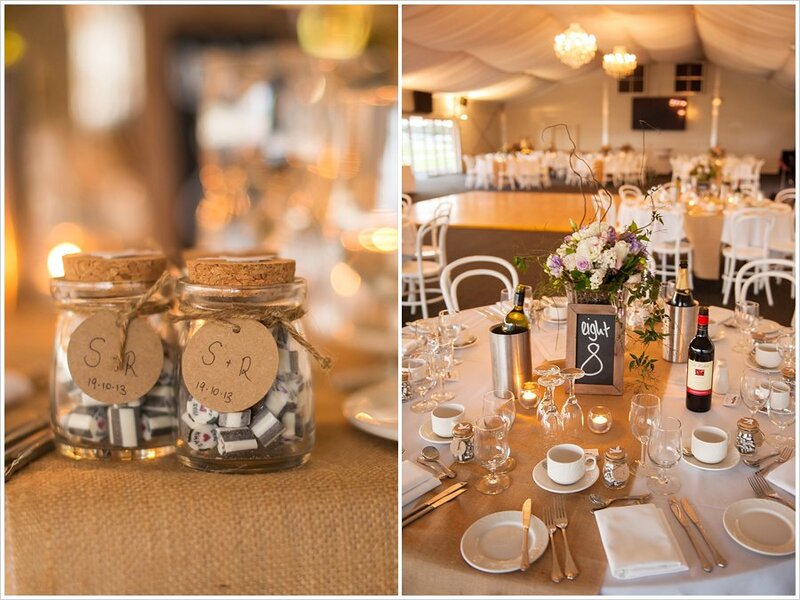 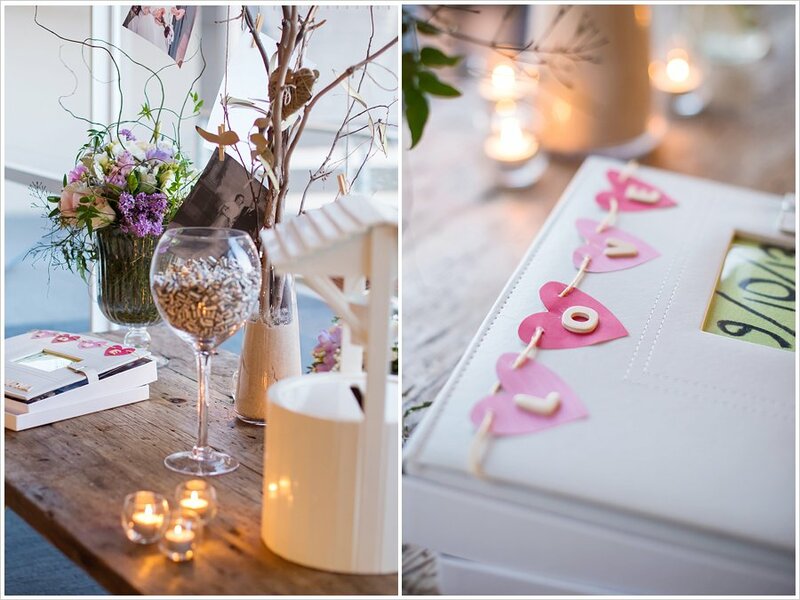 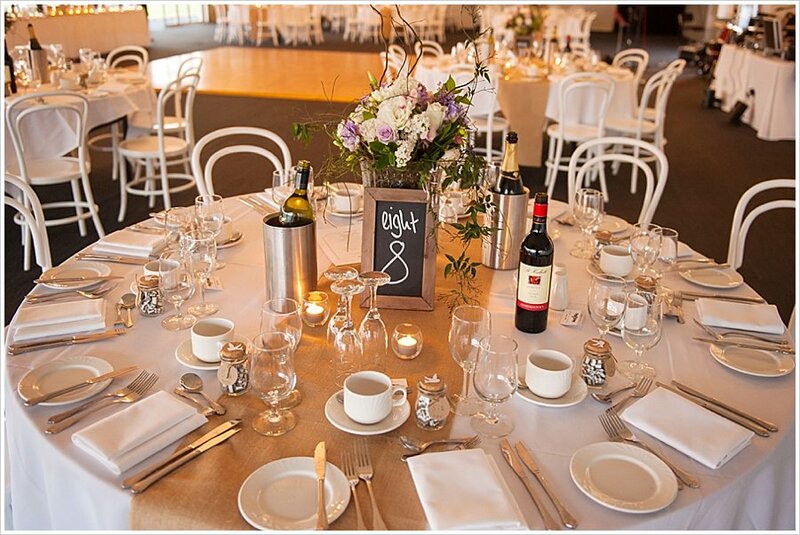 The seating arrangement was displayed using lots of different photo frames, table numbers were written on chalkboards and guests were given corked lolly jars to take home. 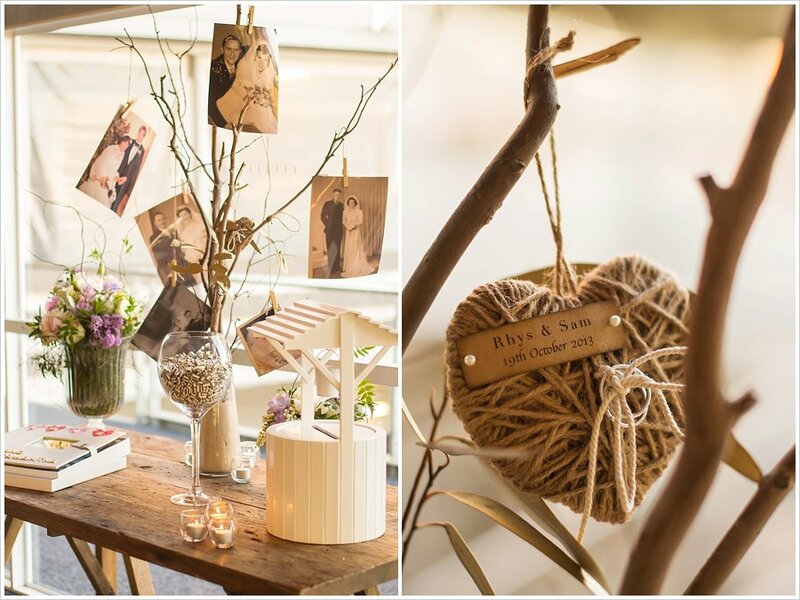 The wishing well and gift table had a special family touch, with wedding photos of parents and grandparents hanging from a ‘family tree’. 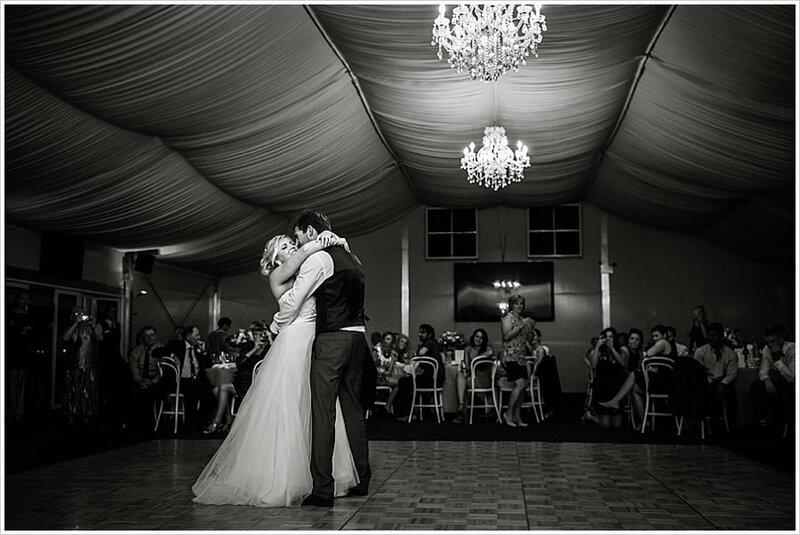 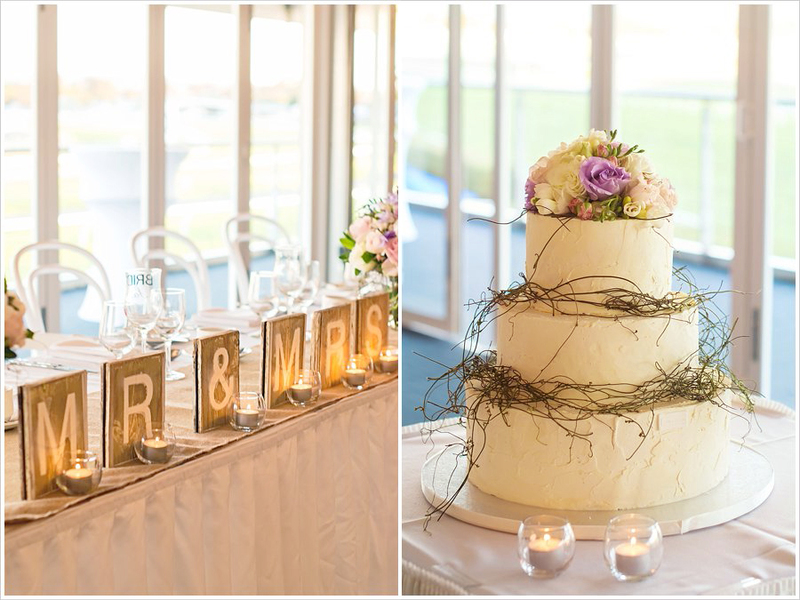 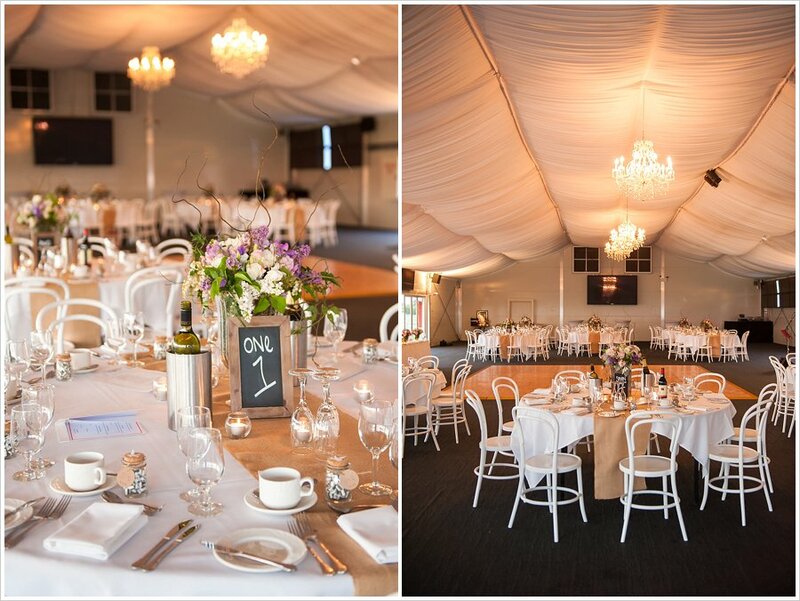 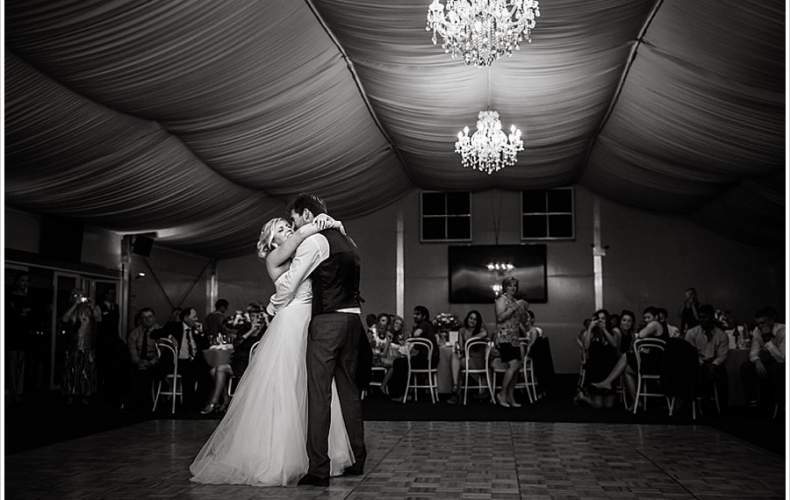 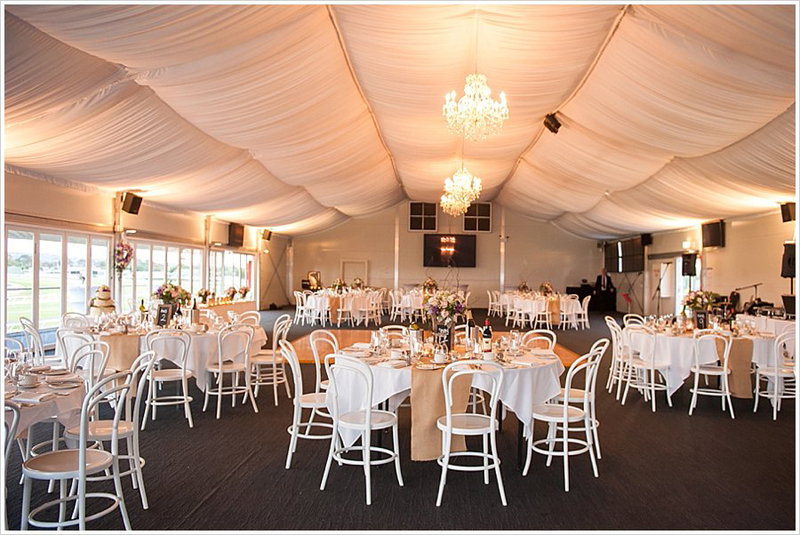 The Morphetville Race Club was a great space to have a wedding reception and all of the candles around the room were a warm touch. 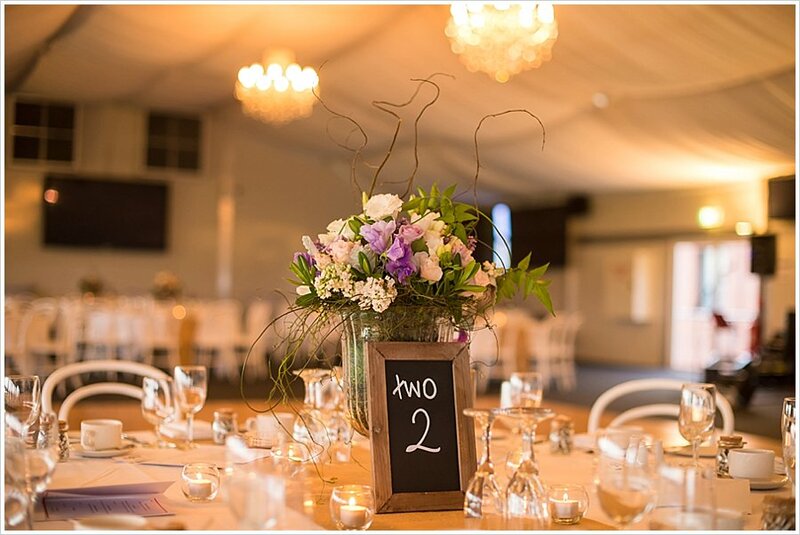 It was a very stylish and elegant wedding venue with the beautiful decorations that brought the garden themed wedding indoors – a very earthy feel.